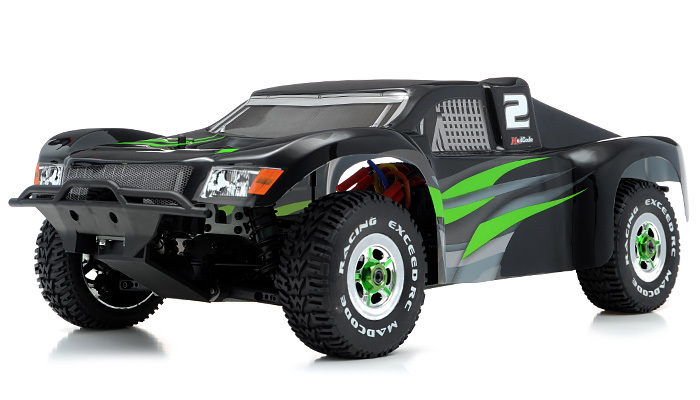 Designed to look just like the full-size Rally Cars, 4WD Racing Edition that runs in short course off-road series like the other brand models. 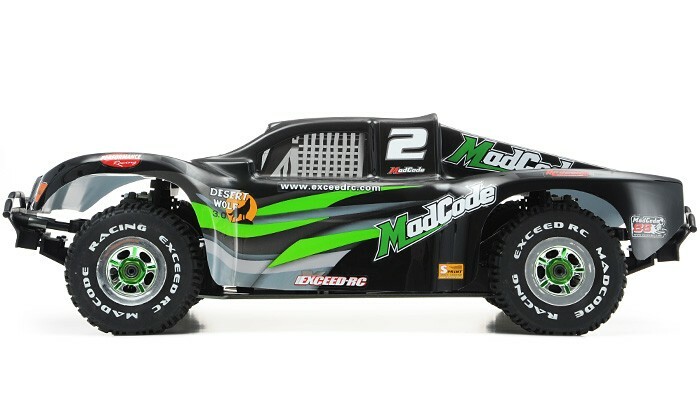 Team Exceed RC is proud to announce the Mad Code as the latest edition to our line of 1:8 scale, brushless 4WD race truck rally car. 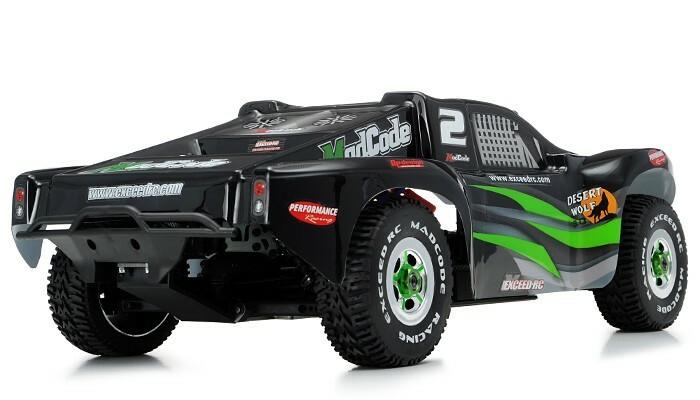 Each Mad Code comes decked out with one of three fully racing style truck bodies, wheels and tires. 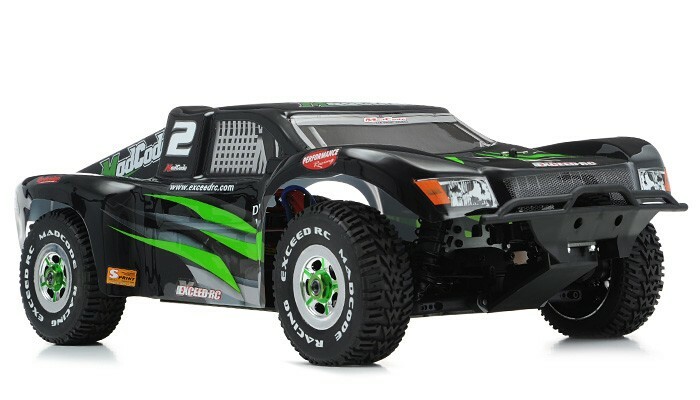 This is the high-performance R/C Rally car in its' class built with 540L Brushless Motor, Dual Lipo 7.4V 3300mAh Battery, and 80A ESC. 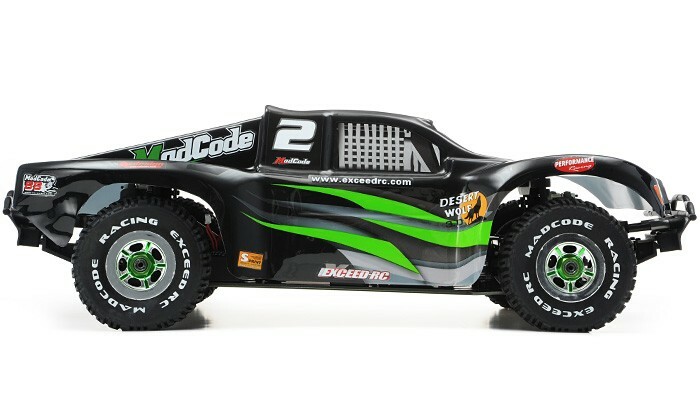 The Exceed RC Mad Code was designed to meet other racing rally cars around the world. It's all here, from the suspension travel, to painted body. 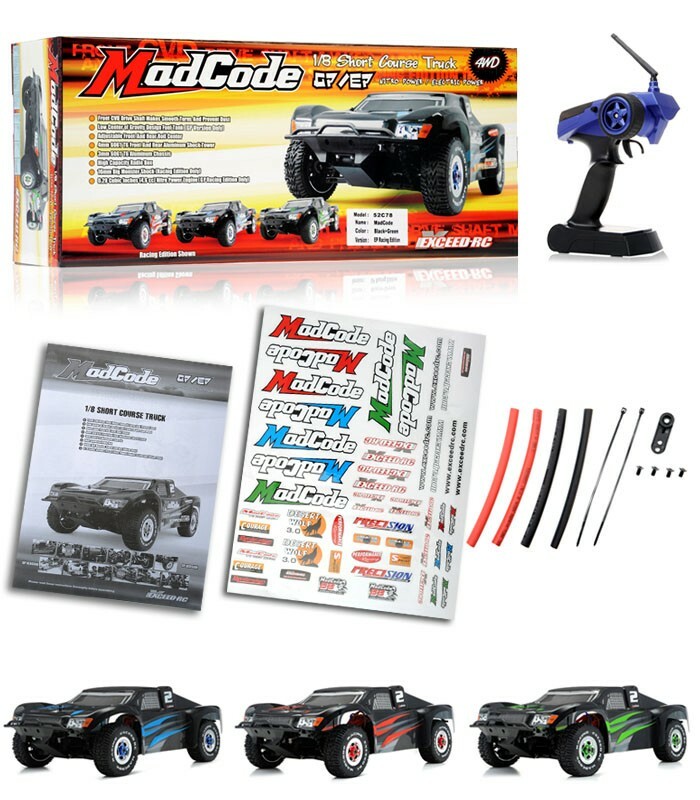 The result is the Exceed RC Mad Code, a creation of an unparalleled experience at a level of performance that has never been seen. 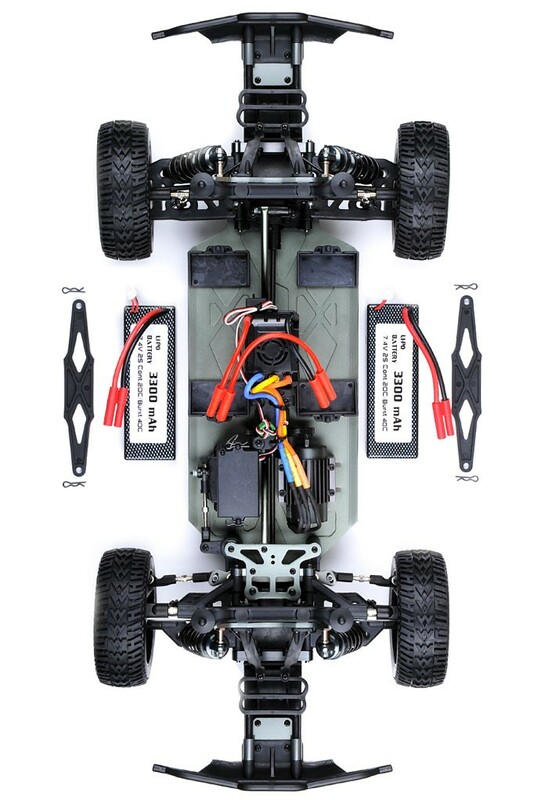 Underneath the beautifully finished body, and wheels, beats the heart of a Mad Code. The Mad Code comes fully assembled and ready to go. 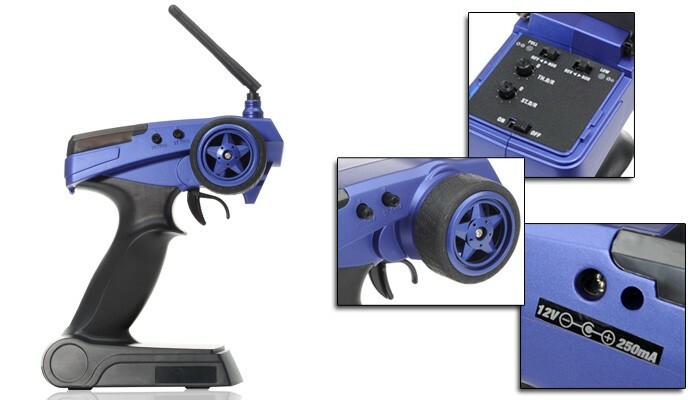 Team Exceed RC 2.4Ghz Radio system are factory installed. The differentials and shocks come filled with the proper silicone fluids, making it faster and easier than ever to get Exceed RC Mad Code performance out of the box and into the dirt! When we created the Mad Code, we knew we had made something very special. Factory painted and finished short course truck body. Mounted and assembled scale wheels & tires with foam inserts and bead guards.